If you travel a lot, whether it be for work or for pleasure, you undoubtedly are familiar with one big aspect of life on the road – hotels. Even if you’re not a regular traveler, chances are you’ve stayed in a fair amount of hotels throughout your life. And just as how it is at your home, hotel doors and windows must be fortified in some way to prevent forced entry. This post will cover some of the more common types of door locks. 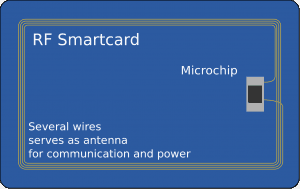 (aka the “smart card”), fitting to the name, have circuit chips integrated into the plastic card. This card is about the size of a credit card and can be easily stowed away in a wallet, pocket, etc. These cards are then inserted into a small slit in the door lock itself, which allows guests to gain entry. These are arguably the most common type of hotel door lock, especially in larger resorts with a large volume of guests at one time. IC locks come in various formats, from single latch to five latch. Most also offer a deadbolt lock on the interior that guests can deploy for additional security. Another popular large resort lock option, RF Cards – which are also commonly referred to as contact-less IC Cards – contain integrated antenna components, which communicates with the door lock through radio waves between card and lock reader to allow access. Essentially, instead of inserting the card into the door, as you would with an IC Card, RF Cards just need to be near a door to gain access. Like IC Cards, RF Cards are also available in a variety of different formats. The downside to both RF Cards and IC Cards is that the keys can be easily forgotten or misplaced, thereby forcing the guest to acquire a new key to access the accommodations. With standard key locks, usually the door must be locked from the outside, so it’s much more difficult to lock one’s self out of the room. Mortise locks are not very common anymore and are usually just reserved now for boutique hotels and smaller overnight complexes. Most include a face plate with a knob and a separate key channel on the opposite side of the door. Usually, a deadbolt lock is offered for additional security on the guest room side of the door. Another staple in hospitality settings are none other than latches and door guards (aka privacy bars). The latter are normally installed on the guest room side of the door to add another element of security to the room itself. While a potential intruder will still be able to open the door if they were to bypass the standard door lock, the guard will prevent the intruder from opening it more than a crack. Essentially, it’s a last resort type of security measure that is still in effect even after a door lock fails. The two most common types of door guards are chain door guards and swinging door guards. Latches may also be used to enhance security. Biometric locks are far from common in most hospitality settings, but they are a potential option, specifically when it comes to very high-end guest accommodations. Specifically, a biometric lock works by allowing guests access either through finger print scanning or retina scanning. While we may take hotel door locks for granted under the assumption that they offer an added dimension of security, as you can see from this list, these locks are in many ways more advanced than your standard home lock – providing several layers of security for guests. Couple this with the fact that hotels also must implement a very advanced key control system to make sure that guest access is only warranted to specific rooms and areas of the hotel and resort, and the hospitality industry arguably has one of the most advanced door lock policies in place today. It is important to note, however, that the hospitality industry cannot sacrifice the quality of their door locks for an advanced key controlling procedure, and vice versa. The two must go hand in hand to provide a maximum level of security. In both cases, a commercial locksmith can help a facility set up an effective door lock and key control solution. For more information on the various different types of locks that are commonly found in hospitality settings, and for information on servicing these locks, contact Great Valley Lockshop today at (610) 644-5334 or send an email to [email protected].